Art in the 21st century is a floating world of curators and collectors, gallerists and critics, that generates a constant fleeting excitement without leaving much behind to impress future generations. It is a closed circuit of mutually fascinated Instagram stars exchanging the glamour of art for the lubricant of money; a school of digital sharks who need an unceasing diet of the new to keep them alive in the ocean of information; a party whose guests are scared to leave in case they are forgotten. Or, to put it another way, it is defined by biennales, those festivals of new art that can briefly attract a very engaged and very affluent audience to any location on Earth. Biennales don’t create much of permanent value, and the art they promote rarely speaks to an audience beyond the self-defining art elite. But they seem very important at the time, to everyone involved. This year sees the big one, the Venice Biennale, back for its 57th instalment. 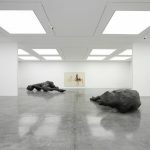 It also sees a very little one, whose Lilliputian ambitions cast a surreal Swiftian light on the lunacy of the art world circuit that will also include Documenta 14 as well as the usual run of art fairs from Basel to, er, Basel Miami Beach. Biennale de La Biche has got in ahead of all these purportedly unmissable artistic events by opening in January. It happens on an island – but an island even smaller and more vulnerable to rising seas than the ones that make up the urban archipelago that is Venice. 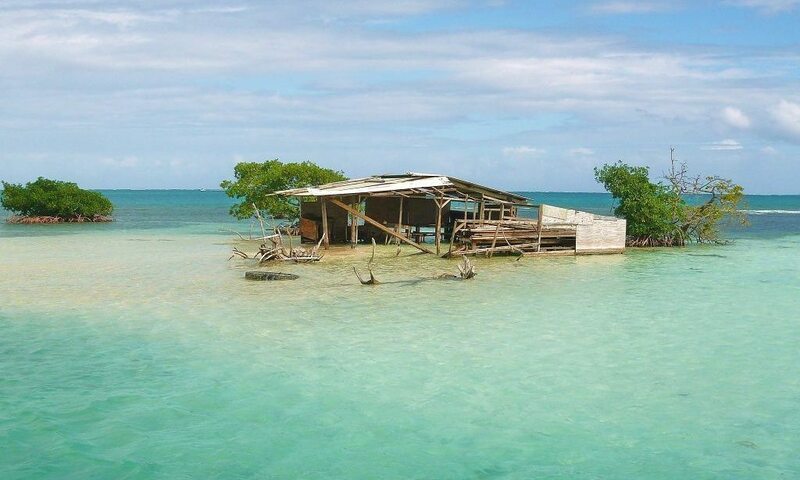 The Ilet La Biche is just a microscopic afterthought of land off the coast of the French territory of Guadeloupe. What little exists of it appears to be rapidly vanishing into the Caribbean. In pictures it looks exquisitely beautiful: a tiny white beach surrounded by luminous blue-green water. There is just room for one ramshackle wooden structure on the sand, which the Biennale’s Poland-based organisers Alex Urso and Maess Anand have appropriated as their gallery, concourse, hotel, lecture theatre and VIP lounge all rolled into one. Well, actually, it still looks like a big hut. To walk around it you have to paddle in the clear warm waters that lap the sand. La Biche is such an insignificant nowhere that the curators needed no legal permission to take it over. Nor do they plan any long-term possession or permanent legacy. The works contributed by 13 participating artists – including Karolina Bielawska, Michal Frydrych, Styrmir Örn Guðmundsson, Ryts Monet, Saku Soukka and Aleksandra Urban – are designed to be left on the island and naturally decay there. A second instalment of the world’s tiniest Biennale is a possibility – but only if, as the organisers seem to allude, La Biche still exists in two years’ time, thanks to rising sea levels. The self-conscious futility of the world’s smallest global art event has a beautiful utopian quality. It looks like a lot of fun. As are all the other art world parties that come and go. Yet it is arguable that none of these self-regarding events leaves any more of a trace than the art which will be left on this pimple of sand. Intentionally or accidentally, the world’s smallest biennale is a mirror of the emptiness that will consume so much energy for so little purpose at its bigger rivals. This entry was posted in Art Fair News, NEWS and tagged ART, art and design, Article, Blogposts, Comment, culture, Exhibitions, Jonathan Jones, Jonathan Jones on art, UK Culture, Venice Biennale. Bookmark the permalink.